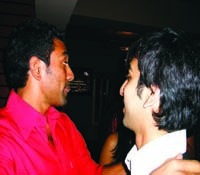 Pankaj Advani has always been different from other sporting high achievers. Ia��ve interacted with the billiards and snooker champion over the years, and today at 29, he has more world titles, awards and medals to his stellar career than one can accurately count. As I write, Pankaj is in the spotlight at the IBSF World Snooker championships here in Bangalore, and I thought it the right time to catch up with him and see how things have changed. Ita��s almost two decades since the day the 10-year-old tagged along with elder brother Shree to play snooker and found his calling in cue sports. Two cue sports a�� billiards and snooker a�� mastered, innumerable titles to his name, yet Pankaj doesna��t consider himself special. a�?But yes, since ita��s rare to play two sports at this level, I do feel Ia��m blessed.a�? What hea��s happy about is the growing recognition cue sports is getting. a�?We have a rich heritage of success in them and I think Indians are becoming more appreciative of consistent achievements. Ia��m happy to be winning world titles. If in the process, cue sports grows in popularity, then thata��s a huge bonus!a�? Even today he acknowledges his family as his a�?grounding factora�� in his success. 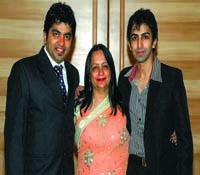 After losing his father very young, his mother Kajal has been his cornerstone. a�?I remember after winning a world title some years ago, I called my mother to share the good news. In response, she said a�?Oh, congrats Punks!A�Well done!a�� and hung up. That kind of put things into perspective. Made me realise that while winning at the highest level is great, living in humility is what truly matters.a�? It also helps immensely that his elder brother Shree is a professional mind coach and his a�?pillar of strengtha��. a�?His contribution has been invaluable. He understands the sport thoroughly, being a national-level player himself. At the recent Grand Double win at the World Billiards Championship in October, during the intervals of both the finals, I spoke with Shree over the phone. In both matches, my second half performance was far better than the first half.a�? 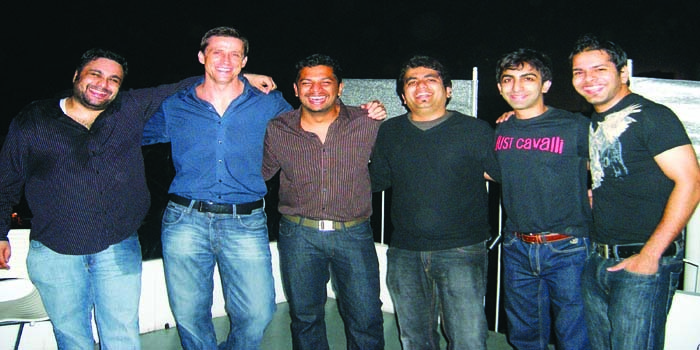 His college buddies were fellow sporting stars Robin Uthappa and Shikha Tandon, the three known as the Golden Triangle. They were, I recall, always together, and no interview with one was complete without a mention of the others. Success means seeing less of each other now. a�?Robina��s doing phenomenally well. We are in touch but I dona��t see them as much as Ia��d like to. Shikha especially, being based in the US. But Ia��m really looking forward to her wedding this Christmas.a�? Playing isna��t hard work at all when hea��s doing what he loves, he says. a�?That automatically makes it easy to focus. As the saying goes, a�?You should do what you love, and you wona��t have to work for a single day in your life.a�� a�? Meanwhile, the Chris Nolan fan is dying for a break so he can watch Interstellar. Thata��s Pankaj Advani for you. Ruma Singh presents a column on observations, insights and whata��s buzzing in the city.